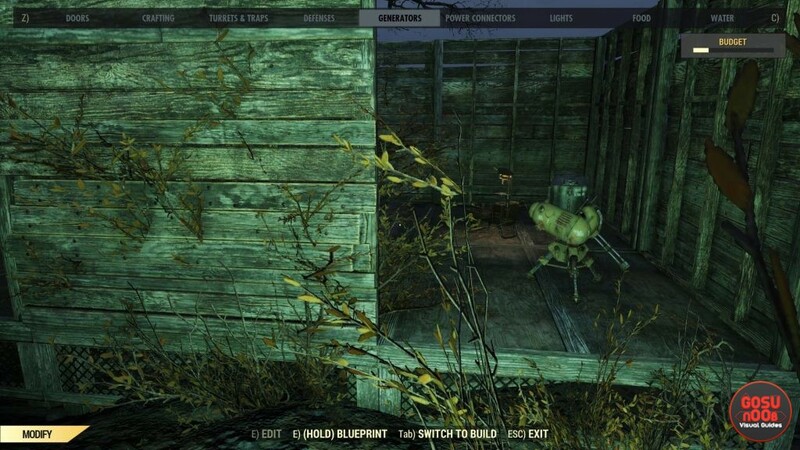 Saving a camp blueprint and moving camp in FO76 is an important mechanic in the game. The mechanics are connected pretty tightly. Moving the camp on Fallout 76 will likely become necessary at some point, due to you finding a better location or get tired from trekking back to defend your base. And, making Fallout 76 camp blueprints can make the whole ordeal much simpler, if costlier. Our Fallout 76 How to Save Blueprint & Move Camp guide will show you how to make a camp blueprint in the game, as well as the different ways to move your camp. How to Make & Save Camp Blueprint in Fallout 76? To make a camp blueprint in Fallout 76, you have to go to your camp first. Go into Build Mode, and press TAB on PC or whatever the equivalent on your platform is. This will switch you from Build to Modify. Then, press and hold E (again, or your platform equivalent) to start blueprinting your camp. Now, all you have to do is select everything in your base that you want to blueprint, using the UI at the bottom of the screen. Just mind your blueprint budget. You can monitor that in the upper right corner. Once your done selecting, hit R (or whatever it is on PlayStation and Xbox) to create the blueprint. Now, you basically have a handy way to just tote your entire camp layout wherever you go. That’s pretty vital for when you want to move your camp somewhere else. Which brings us to our next point. How to Move Fallout 76 Camp? To move your camp in Fallout 76, make sure that you have the blueprint first of all. Otherwise, it’ll be a much bigger pain in the neck. Anyway, once you find where you want to move your camp, bring up the Move Camp option and select it. Now, use the Camp Blueprint (Build > Blueprints) to rebuild the whole camp. Important note: USING THE BLUEPRINT COSTS MATERIALS TO REBUILD YOUR CAMP. Like, a lot of materials. But, it is the fastest way. The downside is that if the terrain isn’t compatible with your previous camp layout, it won’t work. Now, there’s a different way to move your camp in Fallout 76. When you select Move Camp, as mentioned above, all of the stuff you’ve built will move to the Stored bar in your Build menu. From there, you can remake your camp piece by piece, and at no extra material cost. Plus, you can readjust the new camp to the terrain. It does take more time, however. So, really, you can do either, depending on what suits you better. Am I correct in thinking that if you add an item to a blueprinted camp, you must select every item in your camp to add the new item to the blueprint?